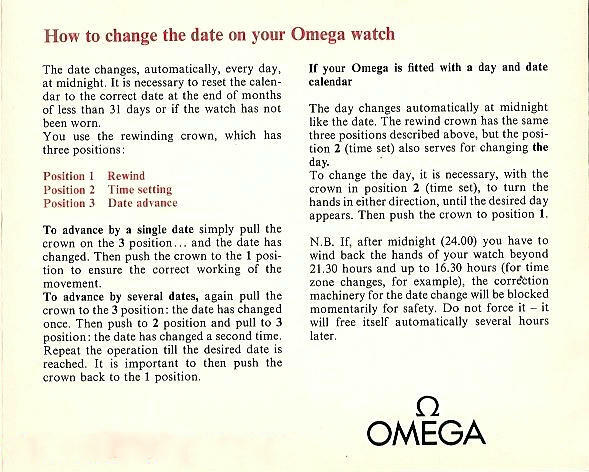 The Omega Constellation pie pan dial was so named because of its similarity to an up-turned pie pan. Sounds fairly plausible, doesn’t it? But, if something is said often enough, especially on the internet, the chances of it ultimately being perceived as fact are relatively strong. We encounter endless factoids in the mass media where reporters report something as fact, the 'fact' suddenly goes viral, only to be debunked or corrected down the line. In evaluating the pie pan story for its factoid-ness, what do we find? On inspection, does a “pie pan” dial actually look like an up-turned pie pan? Ever seen a real pie pan with twelve facets? Most have flat bases and rounded edges, more akin to the heavily domed dials of the earliest of Constellations, do they not? It’s fair to say that it requires a reasonable stretch of one's imaginative faculties to perceive faceted Constellation dials as pie pans. Secondly, much of the nomenclature of horology is in Swiss French. Its elegant form lends itself to the horological lexicon, whereas Swiss German is a rather challenging and cumbersome tongue to non-speakers. Can you imagine a twelve sided dial being described as a “zwöufsiitigs ziffreblatt”, no? Omega’s main operations were based in Bienne (on the border of the French speaking population) and Geneva (right in the thick of the French-speaking zone) and hence it would be perfectly natural to describe the dial as “douze pans” (translated, “twelve-sided”), which was the legitimate description of it by Omega when first released and, indeed, long after. As a young pre-internet watch enthusiast, I never heard the description “pie pan”, but rather heard these dials described as “twelve sided” or “faceted” dials. But someone, somewhere, at some time, probably after the advent of the worldwide web, was responsible for transforming “douze pans” into “pie pans”, and since that defining moment the “pie pan” factoid has been repeated so often by so many that Omega now uses the term in its printed and on-line material. So, pie pans it is, but if you’re a horological pedant feel free to call these dials “douze pans", or if you are a fine, upstanding citizen of German-Speaking Switzerland, "zwöufsiitigs ziffreblatt” is perfect! I have seen that you are back on the screen. Nice article on my favourite dials. In this "rather gluggy and cumbersome tongue"
it would be correctly spelled a "zwöufsiitigs ziffreblatt". I bow to your superior knowledge and will alter it immediately! I'm glad you have found it useful. Re the mentioned watch. Signature parts are all there in the movement. Rotor looks as though it has been changed as it's a different hue to the copper/beryllium plating of the rest of the movement...not a biggie. Dial is correct and original. Crown is incorrect and is of the 2.5mm pipe size variety, whereas it should have the thinner 2.00 pipe size crown. This means that you will not get much in the way of protection from any moisture. Case is relatively sharp and I think I can see the chamfers on the lugs. The case should be a 14902 with this dial - note the absence of Officially Certified. These cases were faked, and while I'm not saying your is a fake it pays to have a good look at the lugs. Case body has the correct double chamfer between case middle and bezel, so it should be okay. I recently inherited an old pie-pan constellation but it has suffered water damage in the dial. I have been looking around for a dial like the one you are showing in this post with no luck. Any recommendation as to where I can find one? I really want to restore this watch to its former glory. Hi Alex. Very slim chance of sourcing a nos replacement dial. If the dial patina is too extreme, refinishing the existing dial is about your only option I'm afraid. Hi Desmond, great article on the "pie pan" in England we referred to it as a "spiders web" dial and pie pan became an "American" nickname which became the norm when the internet arrived? Could well have been coined post Internet Jonathon. Not sure if it was American but the use of pan suggests it eh.